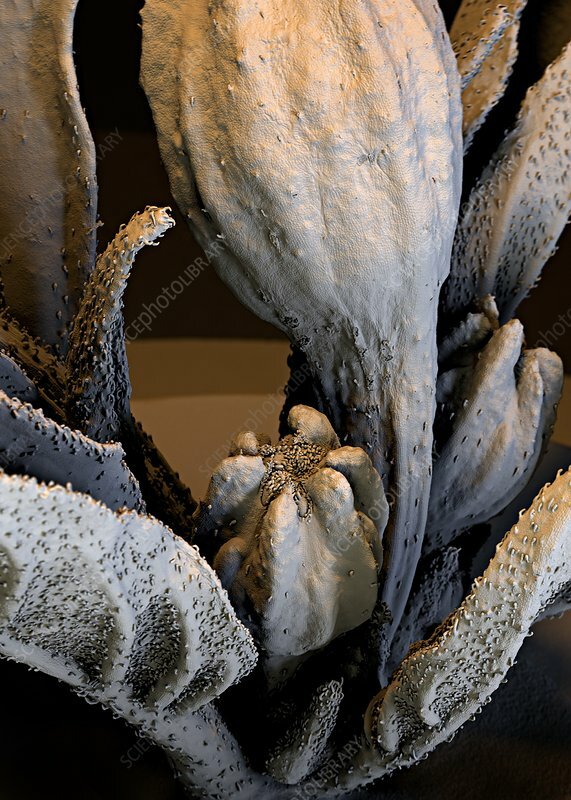 Spanish pepper (Capsicum annuum) flower, coloured scanning electron micrograph (SEM). After fertilisation, the flowers of this plant produce an edible fruit. The shape, size and taste vary depending on the cultivar.